For nearly 1000 years, mankind has harnessed the wind to mill grains and to pump water. To this day, most of the rest of the world that’s not resistant to renewable energy is full of modern versions of this power source. 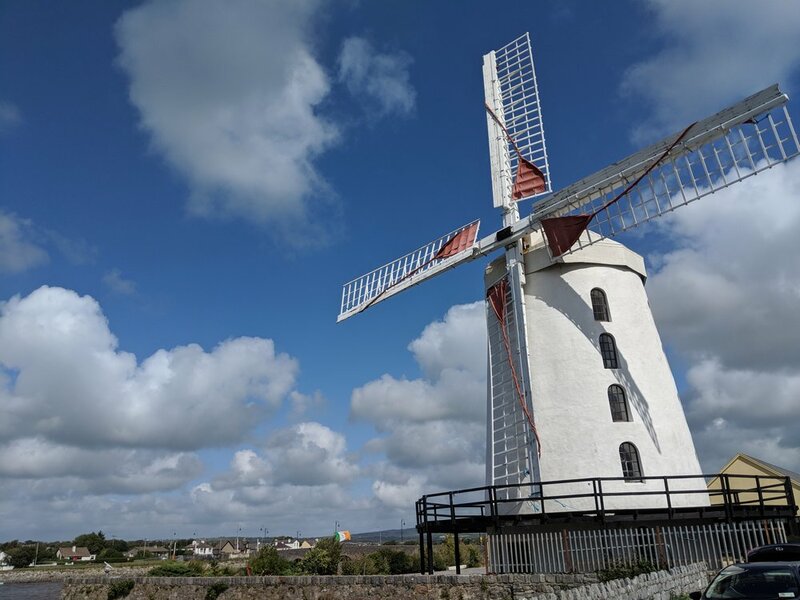 But there are still a handful of old windmills from bygone eras, and they add a quaint and picturesque element to their landscapes. Here are a few that we’ve encountered in Ireland, England, Belgium, and even Italy. This windmill was built in 1800 and still operates today. It sits on the edge of the Lee River as it flows into Tralee Bay on Ireland’s west coast - a critical juncture of 19th-century commerce byways. This thatch-roofed windmill was built in the 1840s. Its inner workings were originally built from wood salvaged from nearby shipwrecks. It’s also a mere stone’s throw from a great local seafood pub specializing in lobster. Four windmills from the 18th and 19th centuries sit atop the city ramparts above the canal on the eastern side of the medieval city of Bruges. One of them still operates today; another never worked, but was built just as a decoration. When we think of windmills, we don’t typically think of England. But the county of Norfolk in East Anglia is a mostly low-lying region on the North Sea with lots of waterways and lakes. As in northern Belgium, these waterways gave rise to the development of water-pumping devices, and consequently many windmills were built in Norfolk over the centuries. Sometimes they just appear in front of us out of the fog. In a sheltered lagoon on the Tyrrhenian Sea, the squat round tower of this ancient windmill pokes out of the water. It’s the only remaining of nearly a dozen windmills built in the 1500s when the region was controlled by the kingdom of Spain. Its position in the water enabled food production and transport even in times of war - the grain could arrive by boat when the city was besieged from the land. Are you interested in visiting “hidden” sites like this, as you tour the countryside? We can plan a custom-made trip for you in Italy or Ireland, with unique lodgings, excellent food, and fascinating sites… on a budget, or as a luxurious splurge. Yes, I want you to lead me to hidden sites! Check out our other, award-winning Little Roads Europe travel guides series! "Emilia-Romagna, Italy: A Personal Guide to Little-known Places Foodies Will Love" explores the sweeping geography, wondrous castles, and delicious food of this breadbasket region of northern Italy. “Tuscany: Small-town Itineraries for the Foodie Traveler” is now available from Amazon.com in a new release: A beautiful, full-color, expanded print edition that explores the back roads and great food of this storied region, while avoiding the typical tourist hotspots. And don’t miss our small-town Ireland guide, too… Explore our favorite pubs, sights, and lodgings in the Emerald Isle! All books are available in print from Amazon, B&N and other outlets. The e-book version is available exclusively through Amazon Kindle. Let us plan your off-the-beaten-track trip to Italy or Ireland! Little Roads Europe: Travel that is Immersive, Authentic, Memorable, Affordable. I'M SOLD! PLAN MY TRIP!